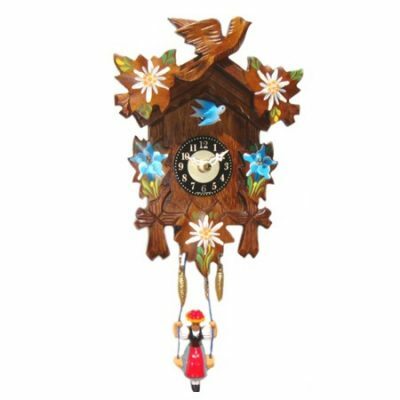 Trenkle swinging girl clock with quartz movement, cuckoo chime and 12 tunes. 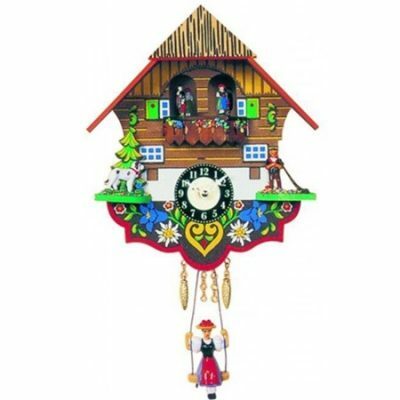 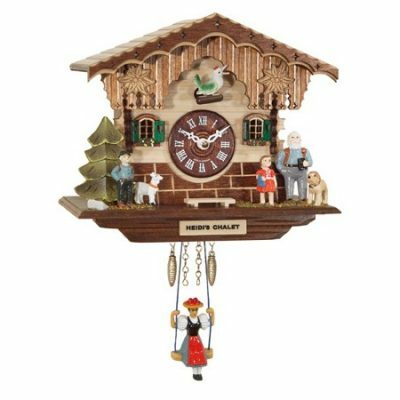 Heidi’s Chalet features moving goats, wooden Dial and swinging doll. 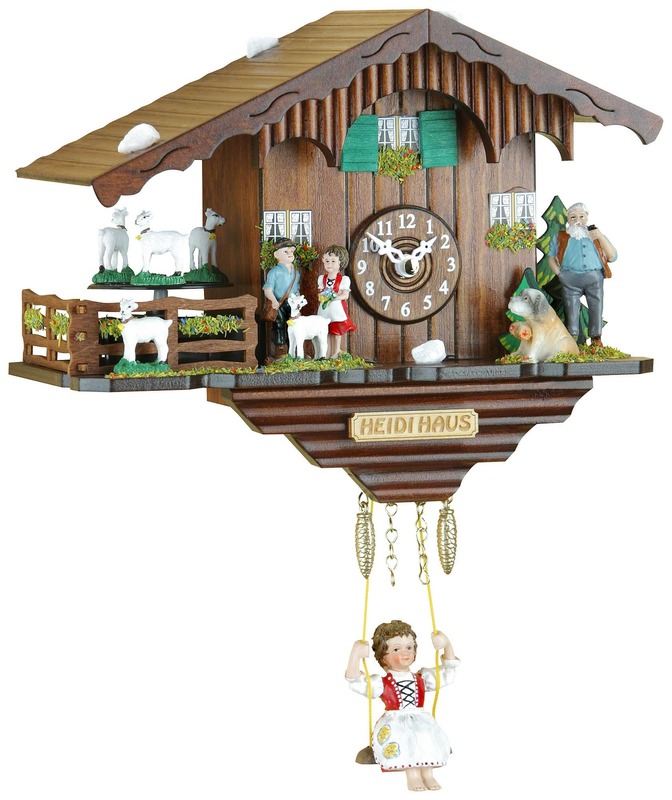 17cm wide.